This year my girls have taken a real liking to helping grow some of what we eat here on the farm... They have been growing beetroot, tomatoes, carrots, radish, lettuce, snow peas and peas in the pod. 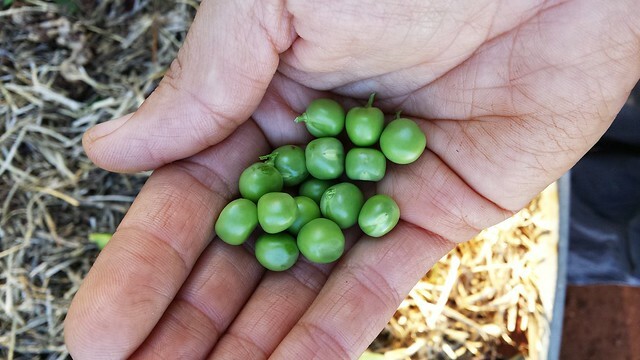 I love growing 'peas in the pod' - have you ever grown them?? Traditionally they are a cooler climate vegetable (so I've been told) but here where I live I'm lucky enough to buck the trend and be able to grow them right up til (and sometimes through) Summer. Do you grow things in your garden at times you 'shouldn't'?? Or, are you more likely to stick to 'guidelines'?? Do your kids like to get involved with what you grow too? 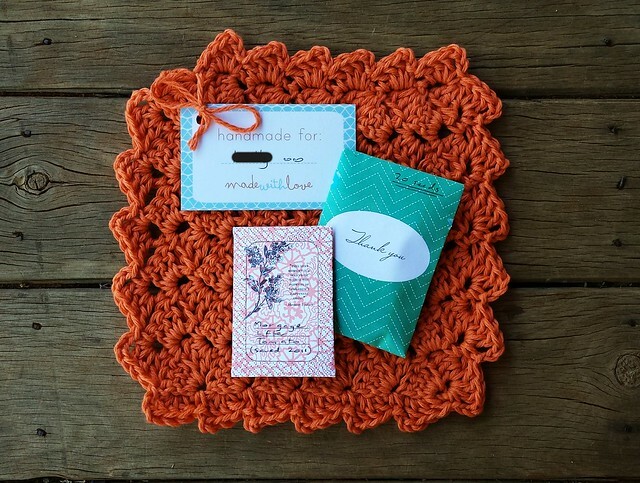 If you follow this blog then you'll know that I love me a good Swap, am passionate about gardening and I just can't get enough hand-made washers in my life - right!!! - Well, combine these 3 things and you've got a Spring Washer Swap!!! Here's what I sent out to my secret partner yesterday afternoon (her name has been blurred out - it is a secret swap, remember... LOL). Your washer is beautiful. I am a passionate gardener too, and your descriptive writing about growing peas was well received by me. Just last week I planted peas in my back yard. I love snacking on them when I'm gardening. I always used to think of cilantro as a summer herb, but here in the California high desert, I have found that cilantro grows great over the winter, snow and all! It's about time for me to sow some seeds. 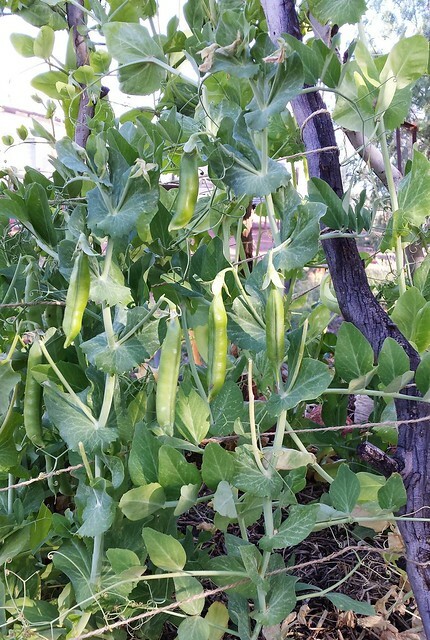 I grow green beans on my tripods after the flush of my flowering sweat peas has expired in the early summer. I think I eat more beans direct off the stalks than cooked or served in salads - they just don't seem to make it indoors quick enough. I also love to grow the all time hardy silverbeet which is such a universal green. Love your pea trellis supports - great idea using sturdy sticks!! Your beans sound absolutely dreamy Christine!!! I too love silver-beet and and have put some new coloured chard seeds in the ground this week. I am such a budget gardener, loads or re-purposing and scavenging goes on around here to make things 'work' - I'm so glad that you noticed my pea tripod made from old sticks, I simply love it!! Oh those peas look lovely! I can't wait to one day have a garden of my own. And what a wonderful thing that your girls are involved in the growing process, taking part in such an important part of life. 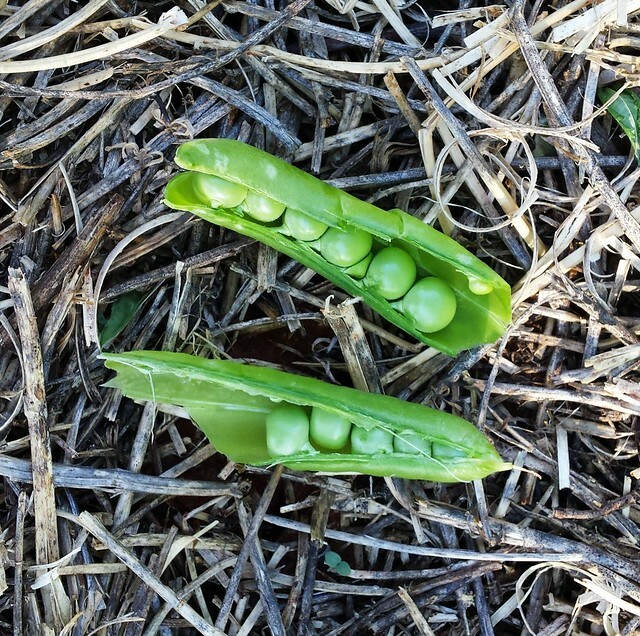 There's nothing sweeter than fresh peas from the pod. They're almost like eating lollies really.